Whether you have a question, comment, concern, or wish to place an order, you are welcome to contact me by email, phone, fax, or postal mail. Hours: 9 am - 6 pm (EST, GMT-5) Monday to Friday; also often evenings and weekends. Sending Email Attachments: Please limit to five (5) images/attachments per each email, within a total maximum of 5 MB per email, if possible. 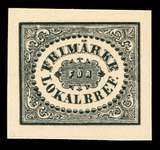 Regular (once or twice per month) email newsletter with Scandinavian philatelic news, announcements of new books and catalogs, and special sale offers (Scandinavian and world-wide collections, Scandinavian used albums, and pre-owned philatelic literature) at great prices. Many special offers are only made through the E-News. This is a great way to stay current and get some great deals. If you wish to send your credit card information for an order, approval payment, Scandinavian New Issue Service subscription, or Stender supplement subscription, you are welcome to use my Secure Web Site. Alternatively, you may reach me by phone toll-free from US and Canada 1-800-447-8267 (outside US and Canada call 336-376-9991). You may send faxes to my 24-hour fax: 336-376-6750. If only the expiration date has changed, you are welcome to email me with the new date. Please include the last four digits of your credit card number, but not the full number if you are using email. Official blackprint/reprint made in 1930 to aid in study of the printing plate. Ungummed on thick card, as issued. Seldom offered. Seldom offered and rarely at such a low price! A once-in-a-lifetime purchase allows me to share the savings with you. SWEDISH LADYBUG VERTICAL COIL "ERROR"
Unplanned Vertical Coil "Error" Stamp. NH, Mint, and Used at great prices. Better stamps at great prices. Over 100 pages of price lists are available by postal mail. While these will eventually also be available on the web, I am not quite there yet. Request your copy of the printed price lists today. SCANDINAVIAN PRICE LISTS ON THE WEB Take a look at my specific country price lists and topic price lists on the web. Approvals are the best way to add to your collection. 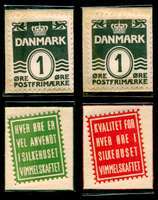 If you prefer to examine stamps and compare them to your collection, before you purchase, you will very much enjoy my approval service. Send your want list today. Albums made in Scandinavia, by Scandinavians make the most sense. Well designed and attractive, these extremely price competitive albums will make a great home for your collection. See the complete price list. I have added a Frequently Asked Questions "FAQ" page for web site, computer, and Internet questions as they relates to my site. I welcome your comments, input, suggestions, corrections, etc.